Heigh-ho, heigh-ho it's off to the panto we go. 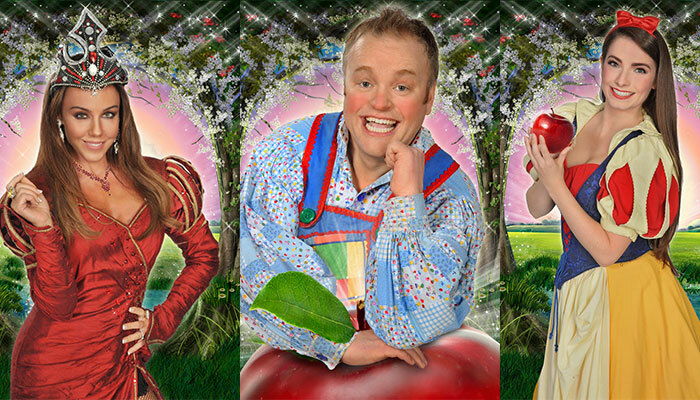 This fabulous fairytale comes to life in true panto style at the Tyne Theatre & Opera House. Mirror, mirror on the wall… it’s panto season as the Tyne Theatre & Opera House is bringing fun for all! This year, a brand new production company brings Snow White & The Seven Dwarfs to Newcastle. It’s a magical production complete with glittering costumes, great songs, fabulous dance routines and plenty of laughter from start to finish. This side-splitting panto show tells the classic fairytale story of Snow White and her journey with the Seven Dwarfs. With all your favourite Disney characters and a few panto specials thrown in the mix, it’s a fun, family-friendly production with lots of adult humour and plenty of silly stuff to entertain the little ones. Jealous of Snow White’s innocence and beauty, the Wicked Queen orders the Henchman to get rid of her by feeding her a poisoned apple. But Snow White is surrounded by her lovely little companions and a handsome Prince. But can they save her from the evil acts of the Wicked Queen? The panto is about humour, festive cheer and family fun and this one has certainly cracked it. The balance between entertaining the kids and giving the adults something to laugh about is spot on – it’s as much for the grown ups as it is the little ones. We’re impressed with the work of this new production company on Tyneside and we’re looking forward to keeping this panto on our list of festive activities next year and beyond. 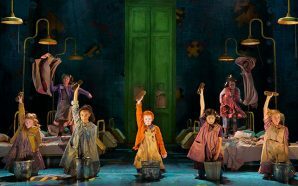 We love the scene where kids from the crowd are invited up on the stage – and any scene where audience interaction is involved. It keeps the show fresh and injects a bit of improv humour into the evening. The sparkling stage finale comes with a standing ovation and as all the characters come together to celebrate the love of Snow White and her new Prince. It’s a real magic moment for the little ones and leaves us feeling warm inside and out. This one is for everyone. The little ones will love the fairytale magic and the big kids amongst you will have a hoot from start to finish. Showing now, until Sunday 31st December. Book your tickets – don’t miss out!